NinjaBee Games: A World of Keflings DLC Finally Announced! They're coming. Unexpected visitors will soon set down in A World of Keflings when indie video games developer NinjaBee releases "It Came From Outer Space" in the coming weeks. 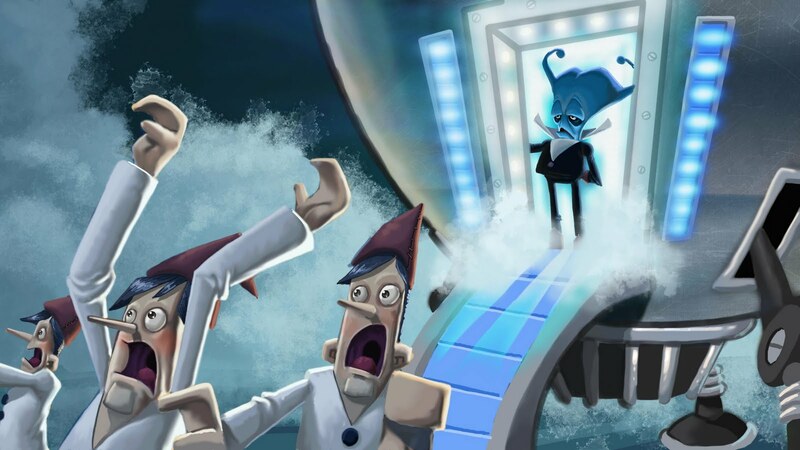 The first DLC announced for the hit Xbox LIVE Arcade city-building game, "It Came From Outer Space" will add a new, alien-themed kingdom to the Kefling world, adding hours of additional gameplay and content. "It Came From Outer Space" includes a full cast of Kefling-sized alien characters and an entirely new kingdom where, playing as their Xbox Avatar, players can build an entire alien city for their extra-planetary friends. "Aliens have crash-landed in the Kefling world and you and the Keflings need to use your mad building skills to get them home," said Mike Nielsen, lead designer on the DLC. "You'll be building giant robots, crazy alien structures, and even robotic Keflings all in the name of repairing their mother ship. There's plenty of new stuff to explore - a new kingdom, new characters, new resources, new buildings... It's pretty substantial." A release date and price are not currently available. A World of Keflings was first released on December 22, 2010 and is exclusively available on Xbox Live Arcade. A sequel to A Kingdom for Keflings, A World of Keflings allows players to play as their Xbox Avatar and go on an adventure to help a tiny people called Keflings build up cities in kingdoms across their world. An easy-going city-builder, A World of Keflings is surprisingly addictive. The game is one of the premier Avatar titles on XBLA, allowing players to play as, and fully control, their Avatar.